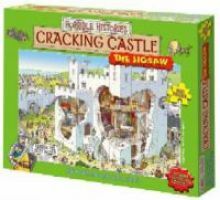 Put together this puzzle showing the true nature of history's castles and learn what it was REALLY like. Read the info leaflet that tells you all about the dark, dingy inside of these castles - savage sieges, garderobes, and the revolting truth about gong farmers! Once you think you're up to the task, answer the castle conundrums and even try to test your teacher with them. Also includes an info sheet and a crazy quiz!